Benjamin Chew was born in Maryland in 1722, but his Quaker father soon moved the family to Philadelphia. After receiving a classical education and then studying law with Andrew Hamilton in Philadelphia, Chew traveled to London to continue his legal studies at the Middle Temple. While abroad he made many important connections that advanced his career down the road; most important among his new ties were those to the proprietary Penn family. When he returned to America in 1744, Benjamin Chew settled in Delaware, where he established a successful law practice. Additionally he was elected Kent County representative to the Assembly of the Lower Counties, serving as speaker of that body from 1753 to 1757. In 1754 Chew moved to Philadelphia and again established a thriving law practice. During this period, Chew represented the interests of the Penn family, and like them, left his Quaker faith to join the Church of England. As early as 1755 he was made both Recorder of Philadelphia and Pennsylvania Attorney General. Over the years, the Penns appointed Chew to a variety of other public offices, including Register-General (in 1765) and Chief Justice of Pennsylvania (in 1774, following in the footsteps of William Allen). Chew was also a friend of George Washington and John Adams, and as relations between Great Britain and the colonies began to sour, he was at first an outspoken advocate for the colonies. Nonetheless, Chew believed protest and reform were the solution to the problems with Parliament, and when the Declaration of Independence was adopted, Chew was not among its supporters. Chew lost almost all of his Pennsylvania positions at the beginning of the Revolutionary War, retaining only the post of Register-General until 1777. In that year, due to his lack of support for the revolution and his close ties to the Crown, Chew was arrested for treason and paroled to Union Iron Works in New Jersey. Shortly after his arrest, his Germantown mansion “Cliveden” was occupied by the British and damaged by fighting during the Battle of Germantown. For over a decade after he was freed and returned to Philadelphia in 1778, Chew stayed out of private legal practice and continued to be politically active only on the Philadelphia Common Council. With the 1790 adoption of a more conservative Pennsylvania constitution, Governor Thomas Mifflin in 1791 appointed Chew to the High Court of Errors and Appeals, a post he held until 1806. He lived his remaining four years outside the public light. Benjamin Chew was elected a trustee of the Academy and College of Philadelphia (the origins of the University of Pennsylvania) in 1757 and continued as such until 1791. He was not named a trustee of the University of the State of Pennsylvania, as Penn was organized by the new state government in 1779; nor was he included on the Board of Trustees created by the 1791 union of the College and the University of the State of Pennsylvania. 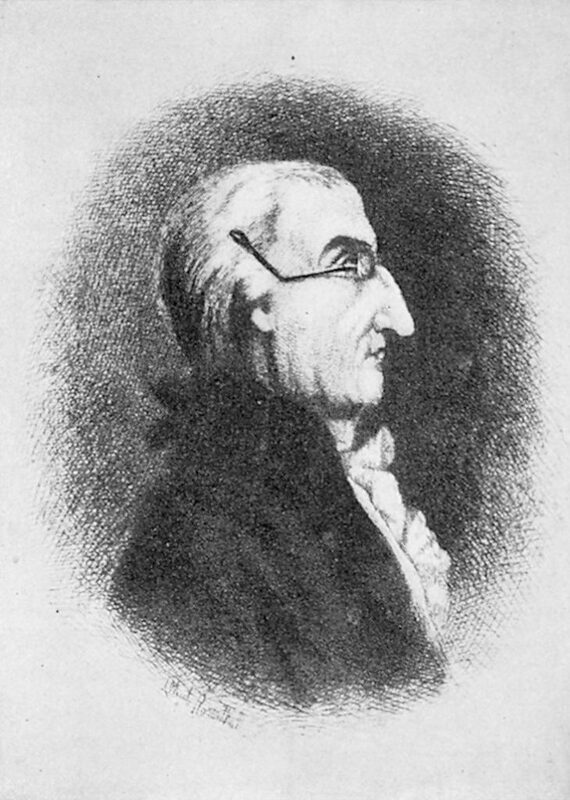 His son Benjamin Chew, Jr. (1758-1844), A.B. 1775, would serve, however, as a trustee of the University of Pennsylvania from 1810 until his death in 1844.